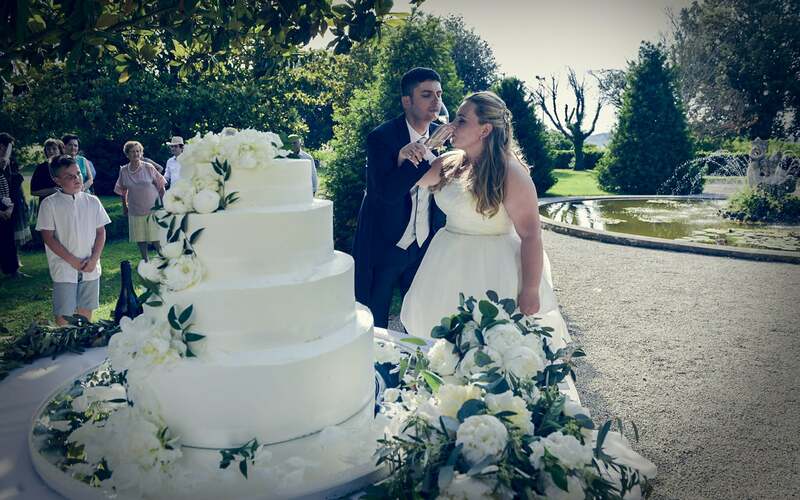 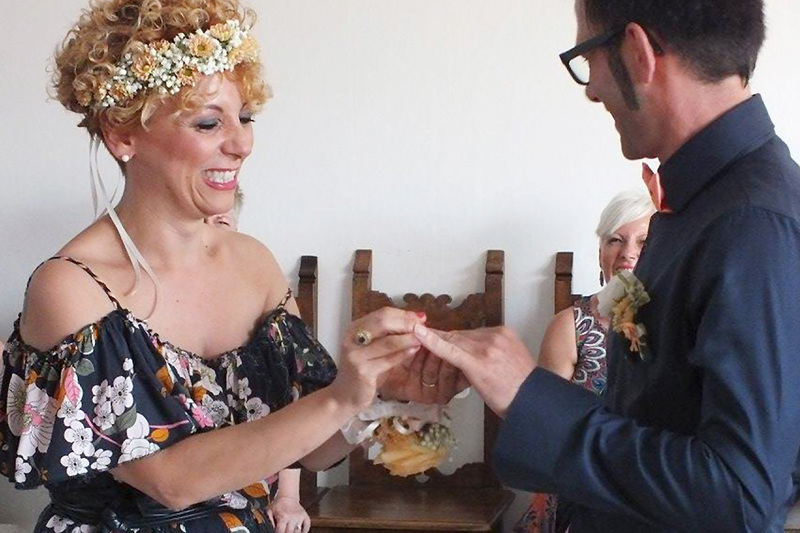 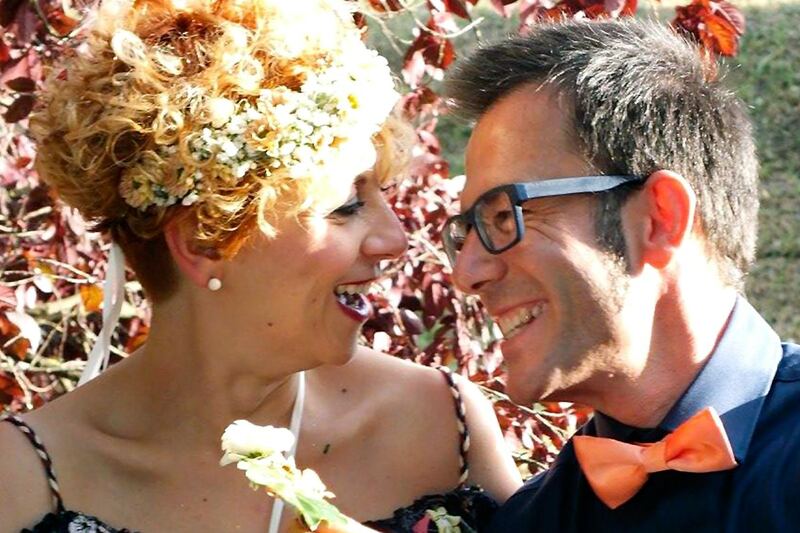 A dreamy and intimate celebration and vivacious and happy-go-lucky at the same time! 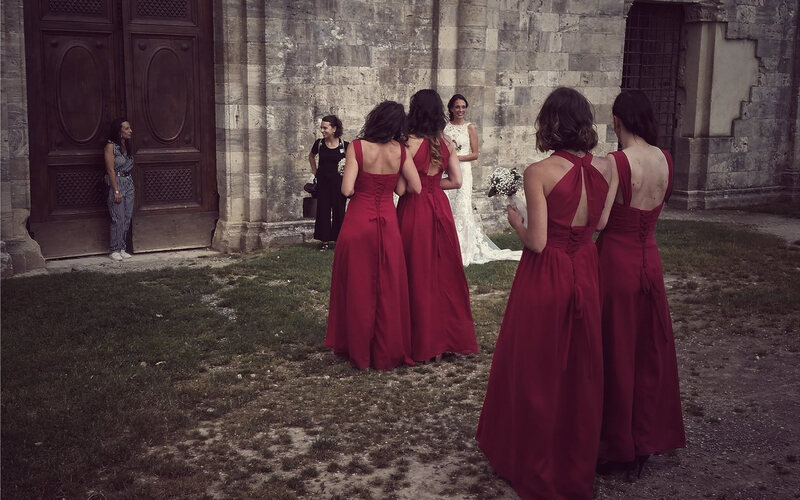 A wedding in the spirit of semplicity, but not at all without emotions. 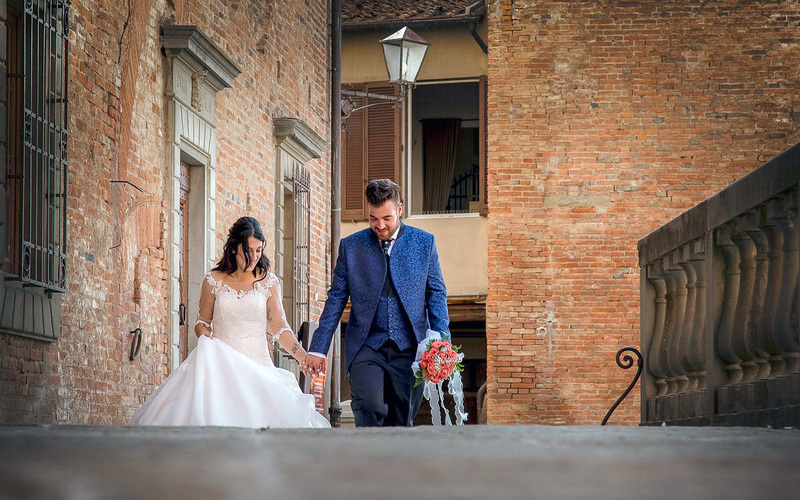 The falling stars’ night was the perfect frame for this romantic event, making a country mood and the special occasion to make a wish. 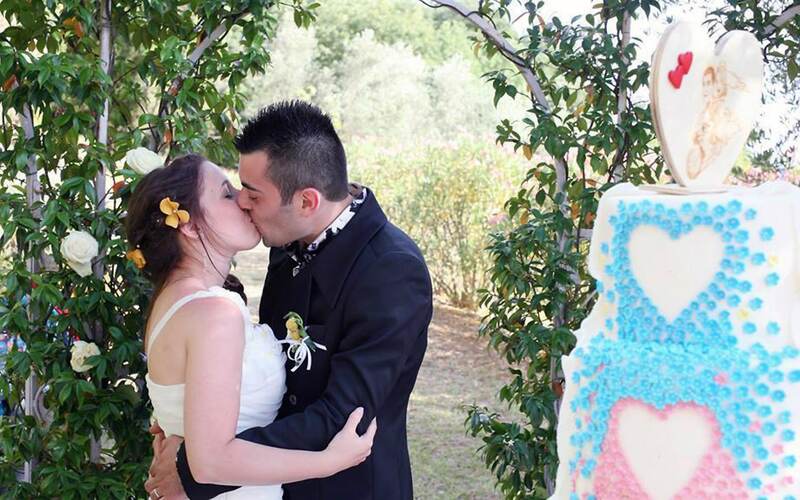 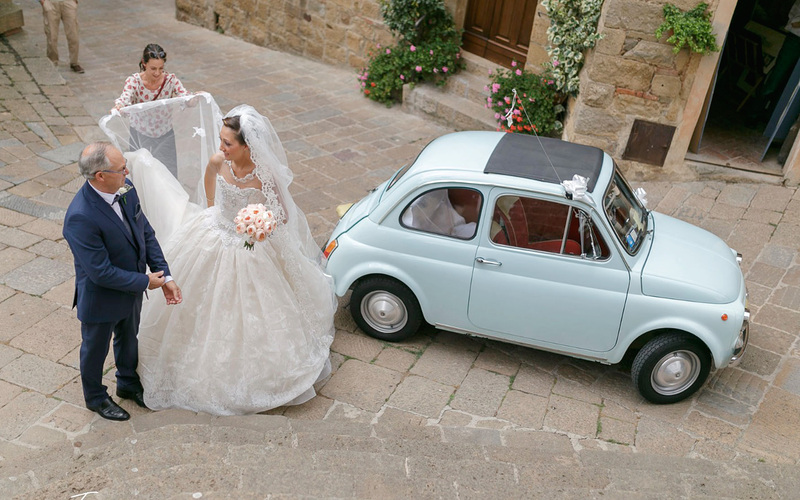 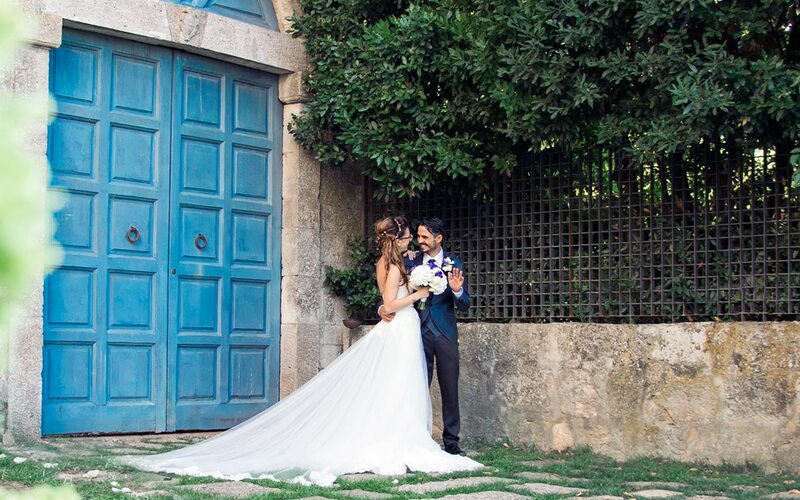 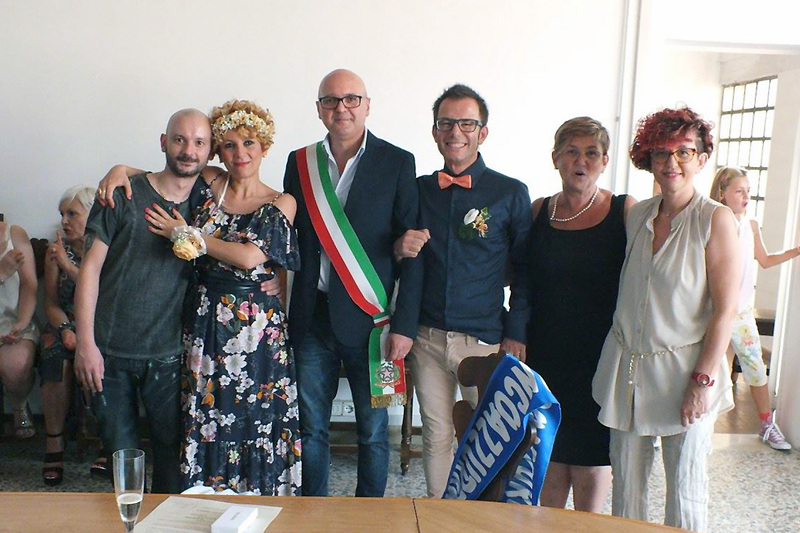 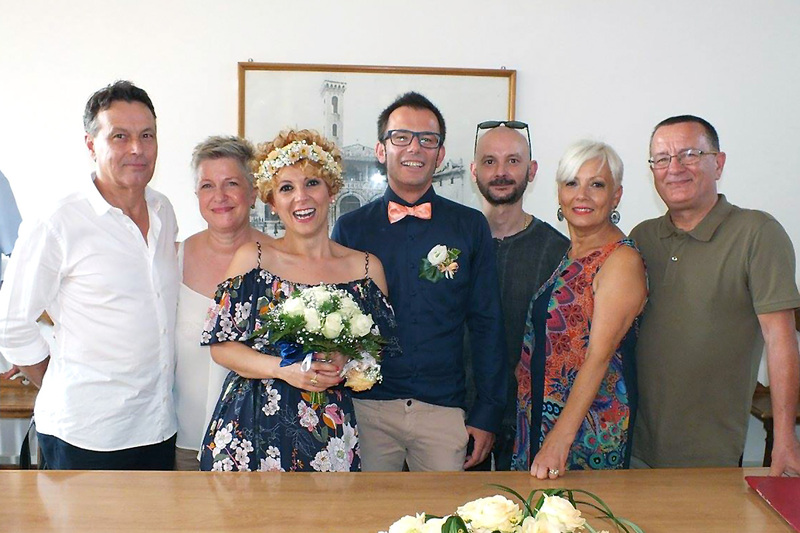 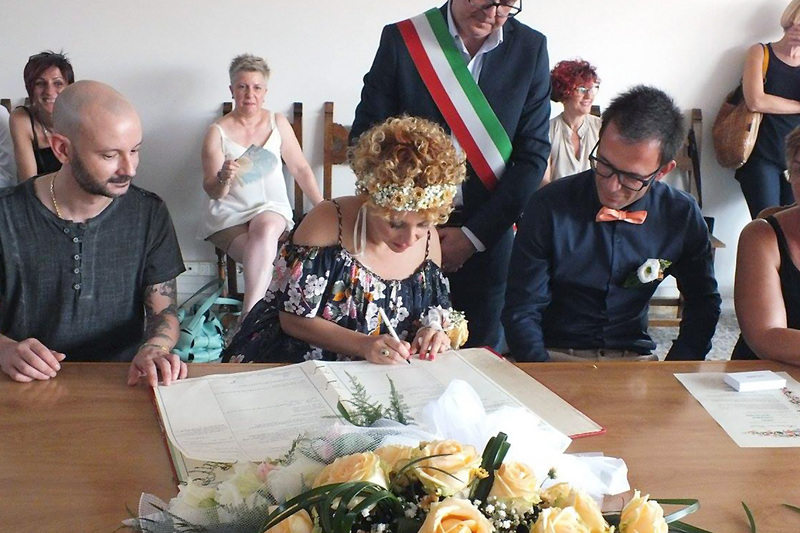 The civil ceremony took place in the home country townhall, in Arezzo surroundings. 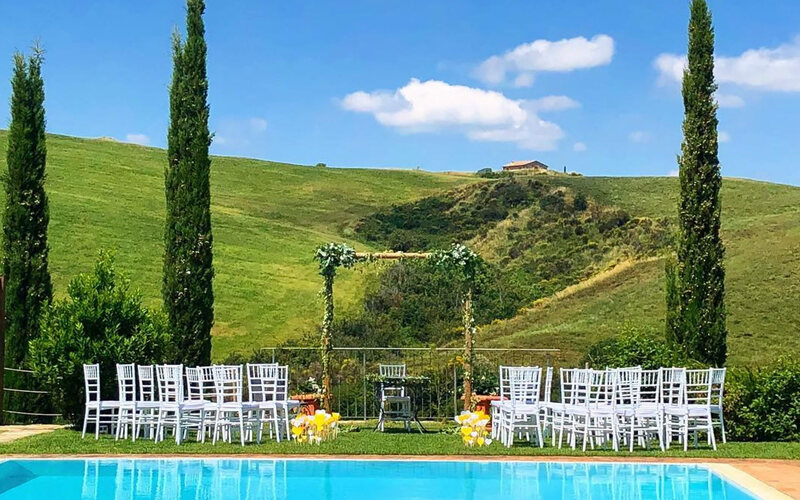 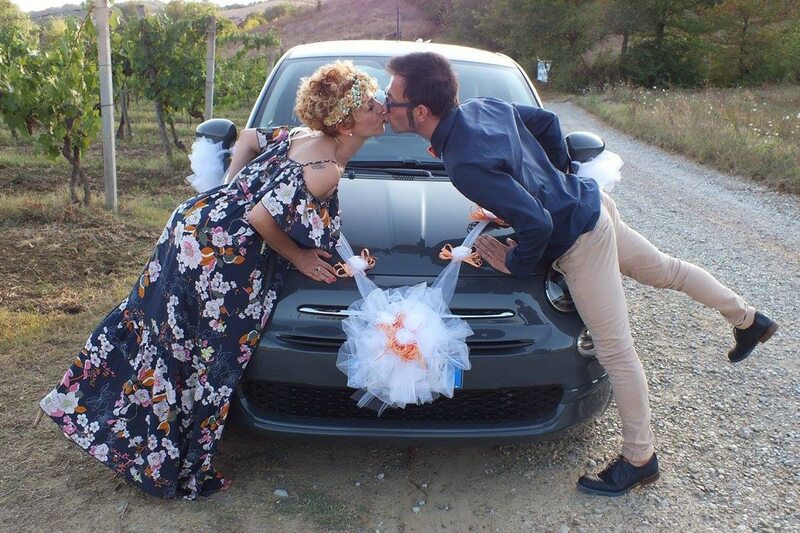 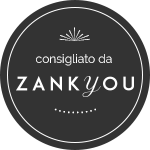 Gennj and Martin chose a lovely agriturismo, behind the Balze special landscape, in the Valdarno area; this location contributed to create a familiar atmosphere. 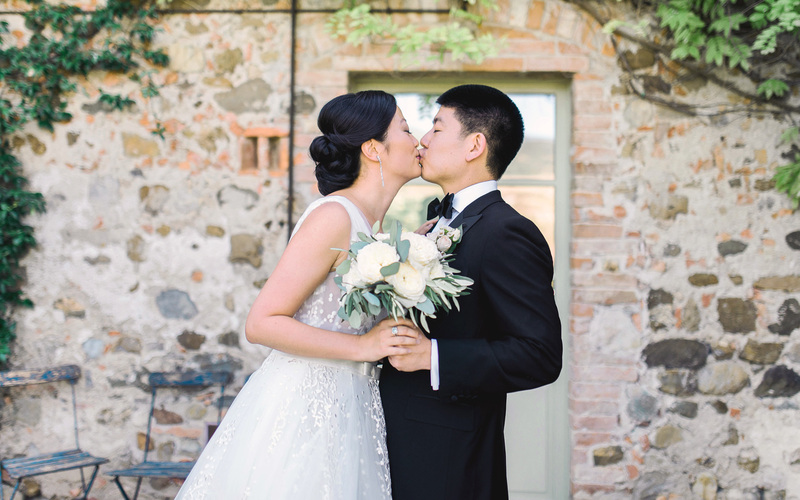 Gennj’s bridal dress was unconventional: floral, colorful and romantic, a perfect mirror of her personality together with her flowers coronet, in boho style. 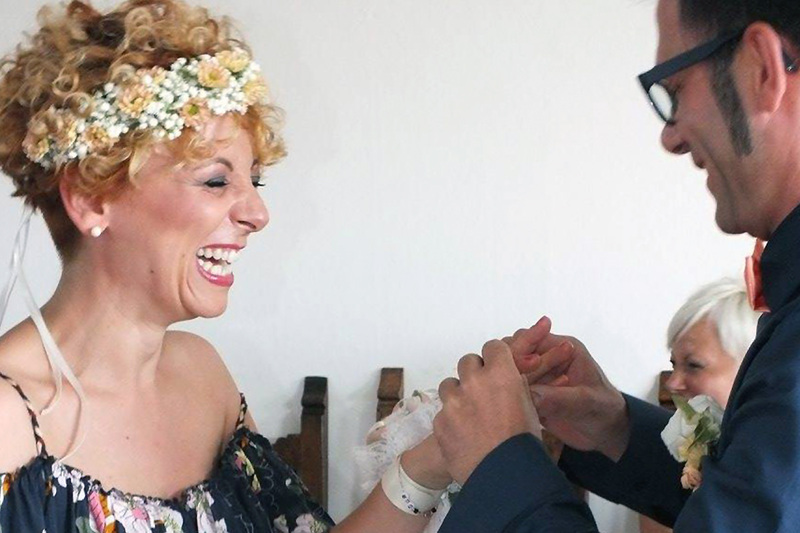 Martin chose a romantic rose papillon, in shade with the bridal dress flowers. 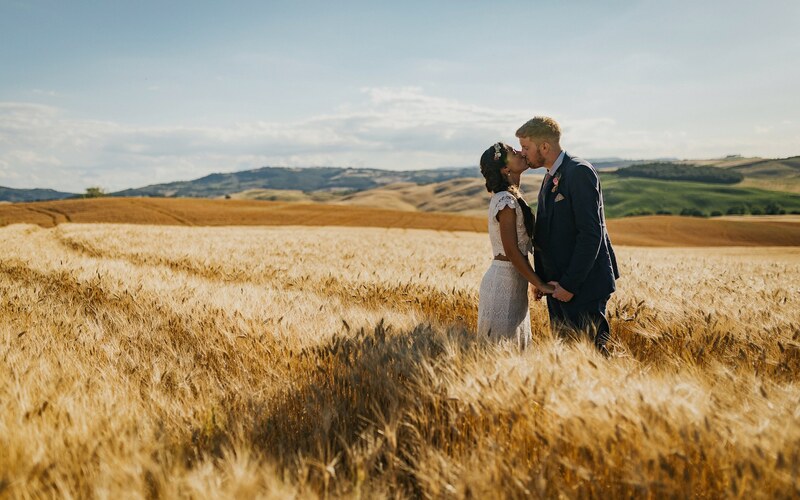 Fields flowers and candles embellished all the event, making both a dreamy and intimate celebration and vivacious and happy-go-lucky at the same time.